Learn to create a Buy X and Get X deal, where customers get the same product as free. Example: Buy Product A and get another Product A free. This is one of the most common BOGO deals offered by the online stores. The customer actually gets another quantity of the same product as free. The feature is a part of the PRO version of WooCommerce Discount Rules Plugin. The deal is often referred in different terms. But their meaning is quite same. Buy T-Shirt Small Size and get another quantity of T-Shirt Small Size free. The above examples all refer to the Buy X and Get X type of deal. The following example provides: Buy One and Get One free. 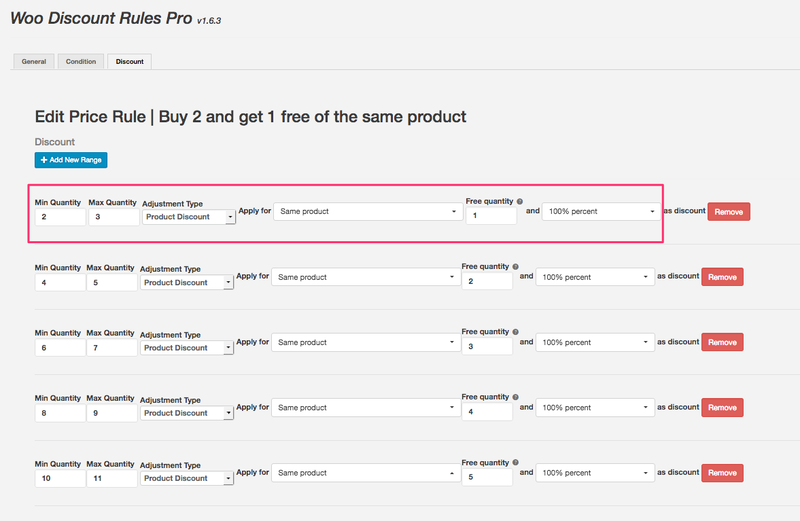 That is Buy any product from the store and get another quantity of the "same product" free (Buy X and Get X). Make sure you choose the Quantity based / BOGO Deals method. I have chosen to apply the discount to "All Products" in the store. You can also choose to provide the discount only for Selected Categories or Specific Products or Specific attributes. Heads up! : I have configured up to 10 quantities. Usually most customers wont purchase more than 10 quantities in an order. However, if you think you may get more quantities in an order, you can add more ranges. There is no limitation to add a range. 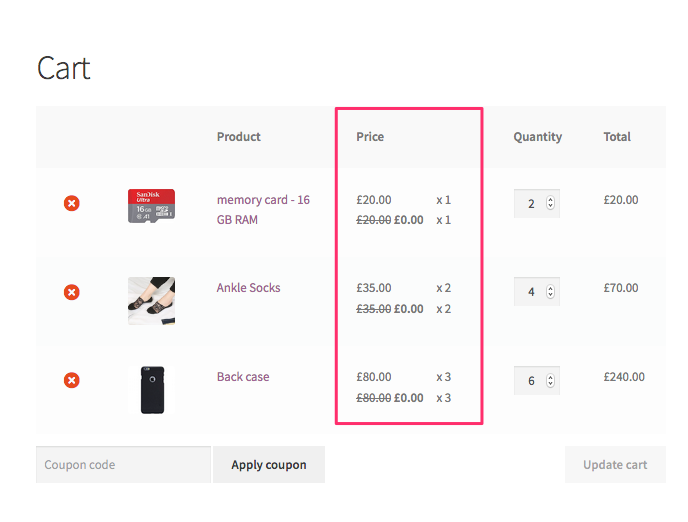 Notice that the customer gets a 1 quantity of Memory card as free when he purchases 2 quantities of it. He would get 3 back cases free when he purchases 6 quantities. 1. Instead of free (100% discount), is it possible to set 20% or any other percentage? Yes. Instead of the 100%, choose the Limited percentage option while adding the ranges in the discount tab. Then set a limited percentage. 2. Is to possible to "Automatically" add the free item? NO. 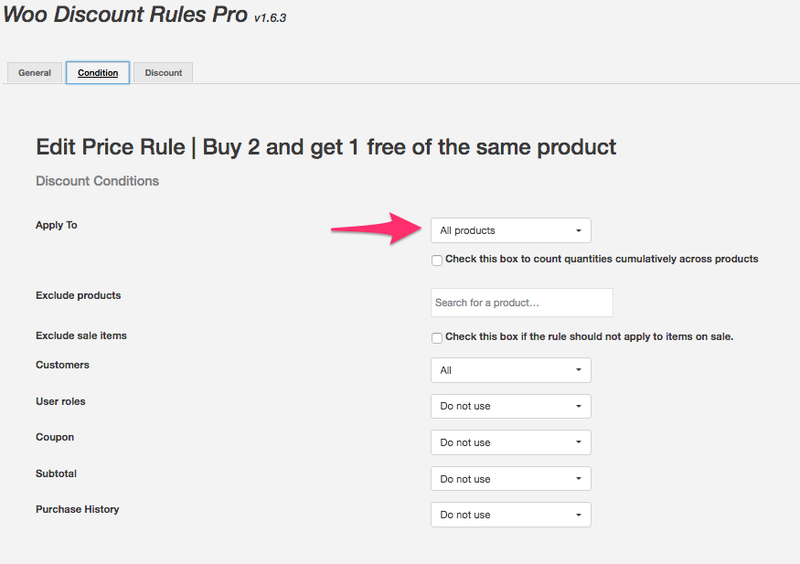 In the Buy X and Get X rules, automatic adding of free product will lead to an infinite loop. Like it? Go ahead and purchase the Woo Discount Rules Plugin to start offering this deal in your WooCommerce online store.